Gripped by the tale of a Messiah whose blood we drink and body we eat, the genre-defying author Emmanuel CarrÃ¨re revisits the story of the early Church in his latest work. With an idiosyncratic and at times iconoclastic take on the charms and foibles of the Church fathers, CarrÃ¨re ferries readers through his âdoorsâ into the biblical narrative. Once inside, he follows the ragtag group of early Christians through the tumultuous days of the faithâs founding. Shouldering biblical scholarship like a camcorder, CarrÃ¨re re-creates the climate of the New Testament with the acumen of a seasoned storyteller, intertwining his own account of reckoning with the central tenets of the faith with the lives of the first Christians. CarrÃ¨re puts himself in the shoes of Saint Paul and above all Saint Luke, charting Lukeâs encounter with the marginal Jewish sect that eventually became Christianity, and retracing his investigation of its founder, an obscure religious freak who died under notorious circumstances. Boldly blending scholarship with speculation, memoir with journalistic muckraking, CarrÃ¨re sets out on a headlong chase through the latter part of the Bible, drawing out protagonists who believed they were caught up in the most important events of their time. An expansive and clever meditation on belief, The Kingdom chronicles the advent of a religion, and the ongoing quest to find a place within it. 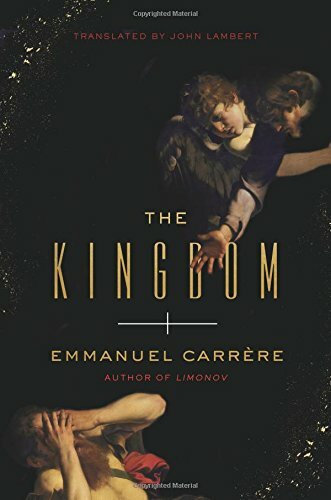 About: A sweeping fictional account of the early Christians, whose unlikely beliefs conquered the worldGripped by the tale of a Messiah whose blood we drink and body we eat, the genre-defying author Emmanuel Carrère revisits the story of the early Church in his latest work.